Hello everyone! Sorry for the hiatus, what a busy month it’s been for me. I hope you’ll be forgiving after you see the next few posts about my amazing trip to Seoul, South Korea. 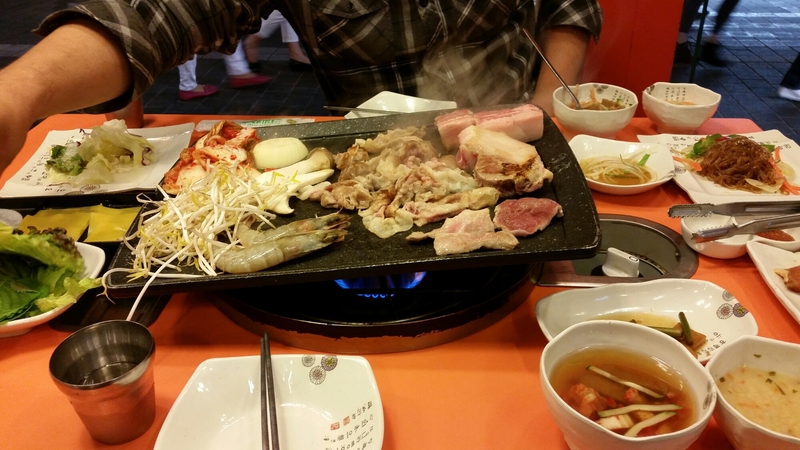 When I tell people about my vacation, they always ask….why Korea? Well…why not!? My interest in the Korean culture really started when I happened to stumble onto a Korean drama; who knew they could be so addicting. From then on it just spiraled into learning more about their music, food, culture, and language. I was obsessed, and I couldn’t get enough. I was so enamored with South Korea already, that I knew it had to be my next trip (knocking Japan down a notch on my travel list). 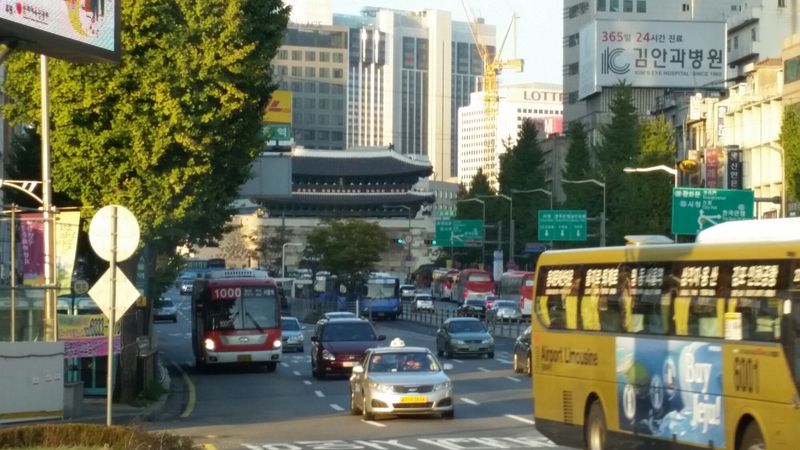 Enough of my rambling….here are some pictures of my arrival/first night in Seoul. Arriving in Seoul: Historic & modern side by side. 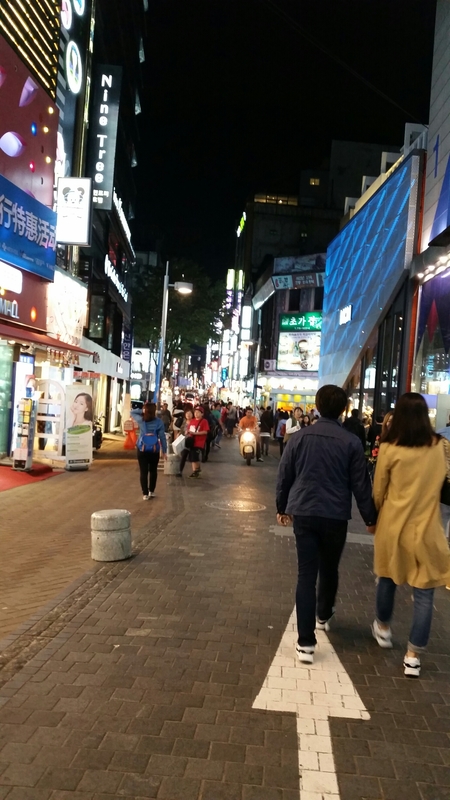 Myeongdong: My home base while on vacation. A place to hyper-shop for anything and everything. 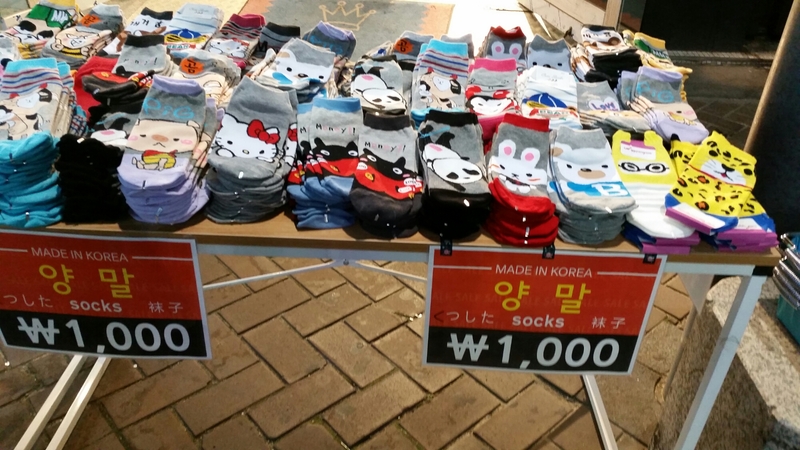 Myeongdong Street Vendor: I’ve never seen so many socks in my life!! They sure do love socks in Korea. 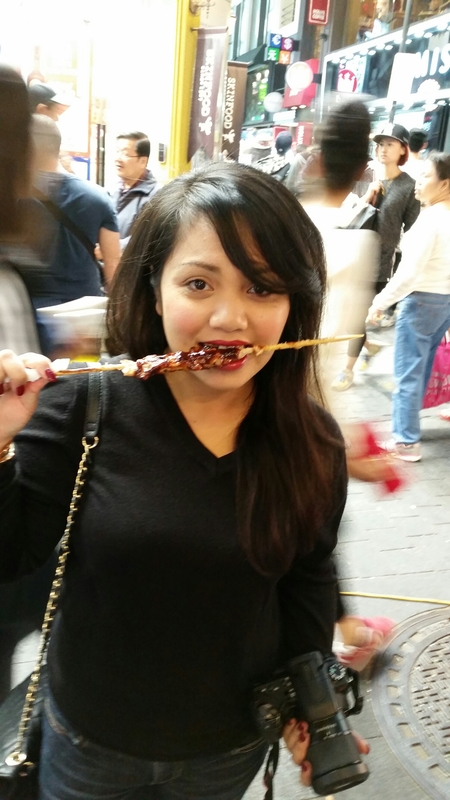 Myeongdong Street Food: Marinated chicken skewer. 1st Meal in Korea: Specialty was the pot bellied Pork BBQ. An amazing first meal & indicator of the great food to come while in Korea. I’ve never had any kind of Korean BBQ in California that came even close to this. More of Korea to come…. I Love Seoul: Cheonggyecheon. Gwanghwamun Market. Myeongdong Street Food.